The sun gives all things life! Give me human light and warmth. It has recently become the newest impetus we seek for the cleanest environmental protection. 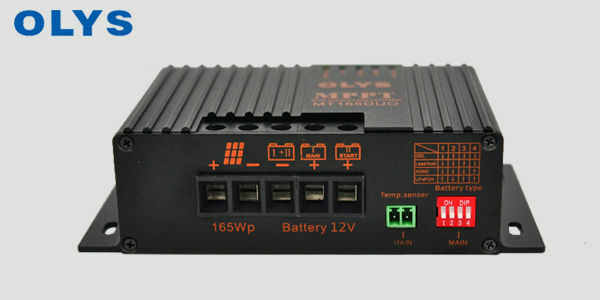 Install a solar panel on the roof of a car, with a dual-charging solar RV regulator, driving a car travel, anytime, anywhere to meet the emergency power problem, is gradually becoming a new consumer trends. The amount of electricity generated by a solar panel depends mainly on the size of the area. 1, the installation of solar modules, not a simple casually devices, you need to calculate the amount of electricity your RV electrical needs how many watts of solar modules, and then according to your approximate number of days of power storage calculate how much your battery needs, and then Also depends on the calculated components of the roof if there is a location to install, whether the design is reasonable, and then improve. 3, if possible, next to the RV can be customized all-glass components, so that it will not affect the car interior lighting can generate electricity, double-edged sword, but this will be higher cost. Solar modules, the most common scale is about one meter or so, the power of one hundred to two or three hundred range. This component is used to receive sunlight, usually on the roof. The average RV roof can also put at least two solar panels, which together add up to about 500 watts of components! Solar charge controller is divided into PWM type and MPPT type, MPPT solar controller can increase the general efficiency of about 10 to 30%. 500W components with a 20A controller on it. If it is a single block, use a 10A RV controller. According to the solar panel down the current, select the appropriate solar controller.